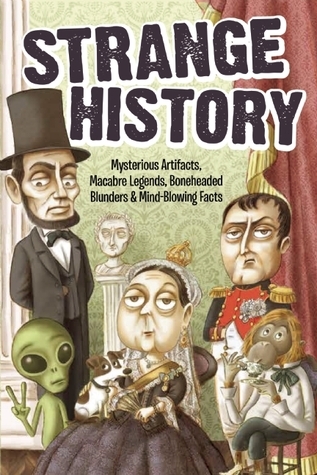 “Strange History” is a fun history book filled with facts and stories that will have you either laughing, horrified, or thankful you don’t know what crazy stuff is going on right now behind-the-scenes. All of the stories are short and can be read quickly. It definitely makes history fun and accessible. In fact, I recommend it for teachers or parents to get interesting anecdotes they can throw into relevant lessons to keep students engaged. The first Super Bowl in 1967 was actually called The World Championship Game, and pitted the upstart American Football League, represented by the Kansas City Chiefs, against the National Football League, represented by the Green Bay Packers. This book consists of oral interviews with many of the surviving players and/or their children, as well as the recently discovered unpublished memoirs of Chiefs coach Hank Stram. As a diehard Packers fan (I bleed green and gold), I’m not entirely sure I can be completely unbiased in reviewing “When It Was Just A Game”. What can ever be better than a comprehensive history of the first Super Bowl? The book is an excellent resource that covers almost every facet of what went into the epic 1967 game between the Packers and the Chiefs. It’s packed with facts and direct quotes from people ranging from the players to the fans and everyone in between. Not the least of it is from the recently deceased legend Frank Gifford. Reading how it was at the beginning of what has become such a large event is a good reminder of what the game is meant to be at the start of this new NFL season. “When It Was Just A Game” is the perfect gift for any football fan you may have on your holiday list. It’s a must-have for any Packers fans out there. GO PACK GO!